Whats That Mean For Real Estate Technology? May 11, 2016 Real EstateBy DEANknows! Well, it looks like Zillow is continuing to make movements to take over the real estate world. 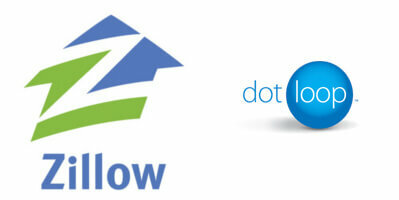 Today, Zillow announced that it is purchasing Dot Loop and the deal is scheduled to close in the 3rd quarter of this year. Most people are aware that Dot Loop is a major player in the electronic transaction management world for real estate. If you don’t know who Zillow is…we can’t do much for you. It’s extremely good news for the venture capitalists like Trinity Ventures who have major money put into Dot Loop. I’m sure it’s also a pretty happy day for Austin Allison, the young founder of Dot Loop. Today is the day he starts looking for that new island he has always wanted. Although he claims he will stay aboard, I imagine that he will last about as long as Pete Flint did. What It Means For Real Estate Technology? Well, your friendly neighborhood Zillow salesperson, you know that guy who calls 78 times a week, now has something new to sell you. Also, Dot Loop will have practically unlimited resources to improve their product (in addition to the 14 million dollars they had previously raised on their own). Some of the more cynical Zillow haters may say that Zillow now has access to all of your listings, clients contact information and even the offer and accepted prices. I think the guys at Zillow are too smart to do anything like that without full disclosure—and full disclosure would kill the product… quick, fast and in a hurry. They may end up using some macro, anonymous statistics like how many offers are made by a potential buyer before they actually buy a home, but anything more than that would have agents and brokers run for the hills. 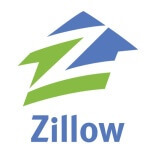 Good or Bad For Zillow? Well, Zillow is constantly positioning themselves as the company you are FORCED to do some type of business with if you are in the real estate industry. That can be a good thing for them. What too many people DON’T talk about is the overvaluing of Zillow which gives them this kind of money to burn through. Yes, you can say that you bought Zillow at ## and its now at ## but that doesn’t mean its stock price is worth what is selling at. What are those repercussions? The P/E ratio or Price to Earnings Ratio of a stock is simply the stock sales price divided by the average earnings per share. Another way to look at it is how many years it would take for the company to pay you back, at its current rate of profit when you buy a stock at a particular price. My dear old Dad was an investment guy and once told me he would never make a long term investment in a stock that had a P/E ratio of more than 20. In 2013 Zillow’s P/E was 6,230. Yes…6,230! Try to find Zillow’s P/E ratio today. It’s a little tough because they are still NOT PROFITABLE thus they have an infinite P/E ratio. Yep, according to their 2014 annual report they only lost 41.6 million in 2014. One more thing… their current market cap is 4.6 billion dollars. In 2014, there were 4,940,000 resale homes sold in the United States. If Zillow made $1000 on every home sold, it would take almost 100 years to reach its market cap. Do you see any chance of Zillow making $1,000 on EVERY SINGLE HOME SOLD in the United States? Point here is, Zillow may be taking over the real estate technology industry, but one day they will have to pay the piper for all that advertising and those pricey acquisitions. What’s The Future of Real Estate Technology? I personally believe that at some point Zillow will crumble like the prices of a hi-end condo in Florida. When that happens, someone will fly in and scoop them up. Will it be Rupert Murdoch? Will it be Google? Will it be Berkshire Hathaway? Those are the questions in which the answer will dictate the future of Real Estate Technology.